This is a follow-on post to my post on Assistive Technologies: Math Software for Supporting People with Dysgraphia. 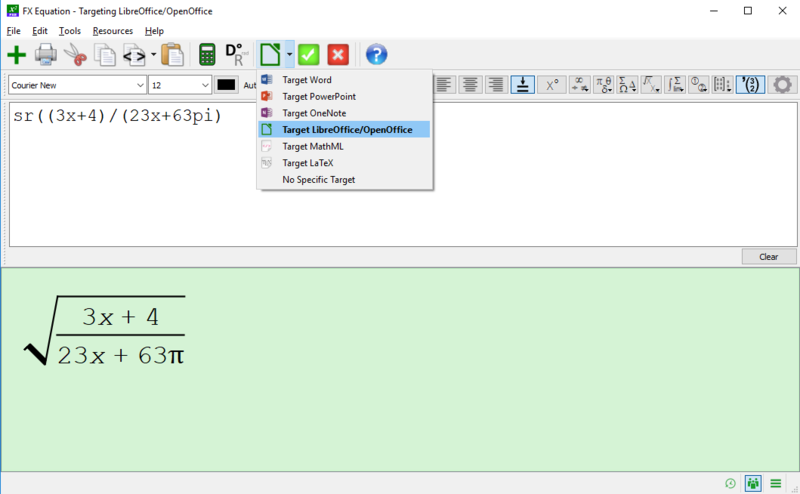 In this post I will provide a step-by-step explanation on how to use equations from Efofex Software's FX Equation software with LibreOffice's Writer program. 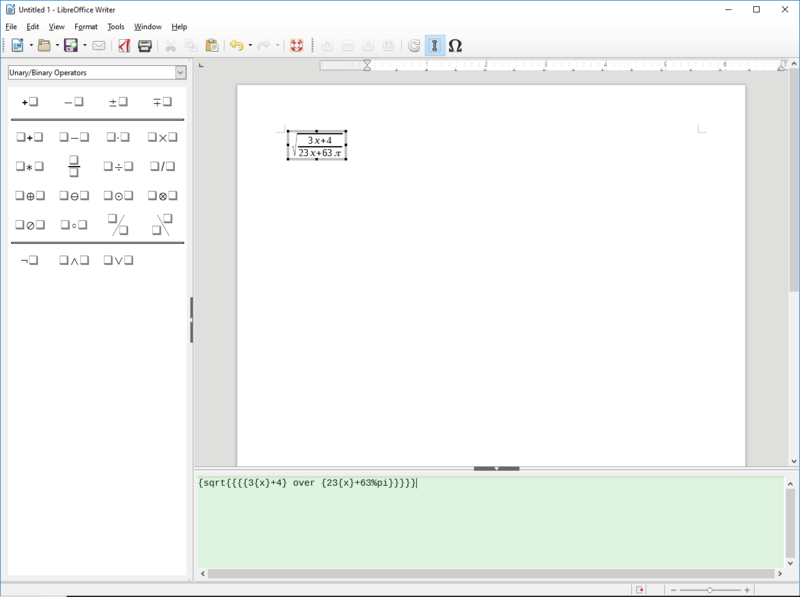 Insert the equation as a LibreOffice Formula (a little harder, but can be edited later). The first approach is fairly simple. After you have your equation ready to copy, select the Copy button or type Ctrl-C and then open up LibreOffice Writer and type Ctrl-V (or Select Paste from the Edit menu, etc.) 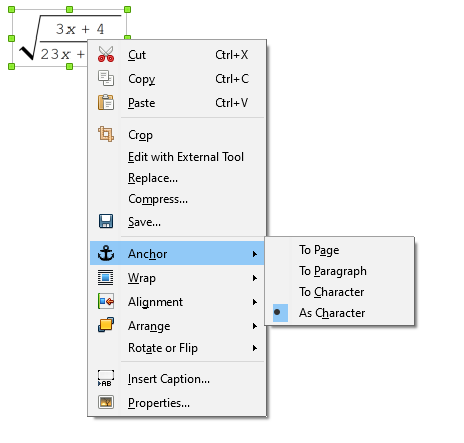 to paste the equation into the document like any picture. The following picture shows the Copy button highlighted in light blue between the Cut button (the scissors) and the Copy As button. Go to the "Anchor" menu on the pop-up menu. So there are probably several methods for doing this. I'll brake it up into a few options. 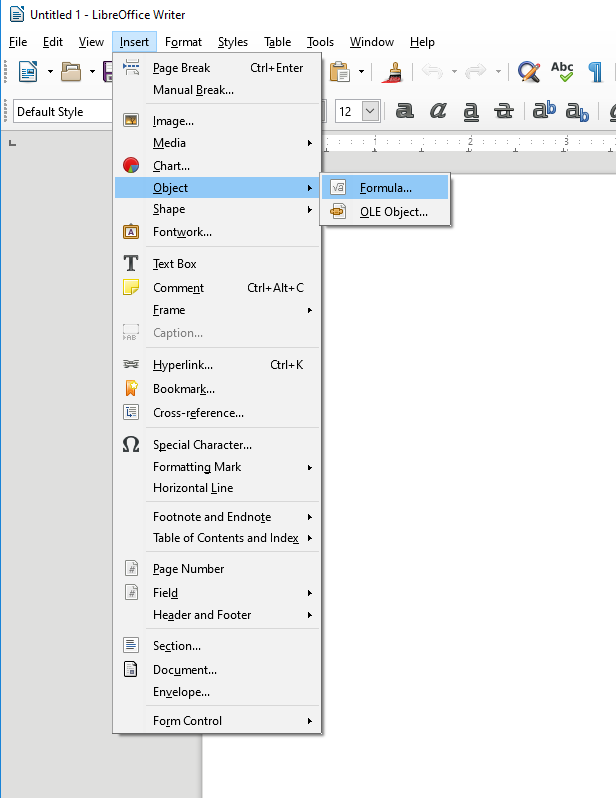 Once you do this, you can just select the large green check mark on the button bar and the equation will be provided in LibreOffice Equation/Formula format onto the Windows clipboard and the FX Equation editor will hide itself while you work with LibreOffice (though, it is still running). At this point, the equation is on the clipboard ready to go. 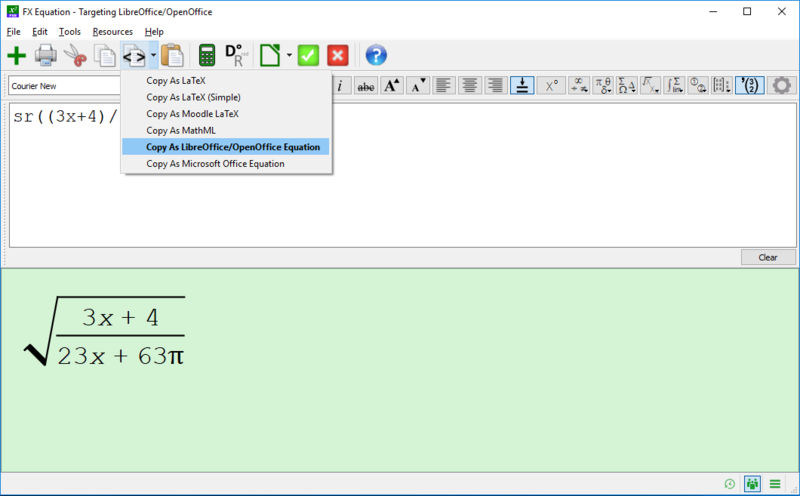 Once you have selected the Copy As LibreOffice/OpenOffice Equation once, the next time you click the larger Copy As button itself, it will remember your last setting (in this case Copy As LibreOffice/OpenOffice Equation). 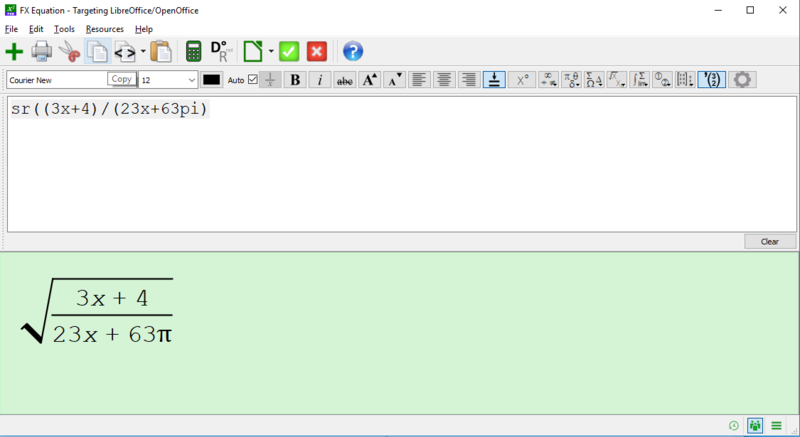 Click the location in the LibreOffice Writer document where you want to insert the equation/formula. At that point the Formula/Equation editor pops up. In the bottom right box (highlighted in green in the picture below), you can now paste the equation. To get out of the Formula/Equation editor, click just about anywhere in the document other than the equation itself. To edit the fonts or contents of the Formula, you can double click on the Formula to open the Formula/Equation editor again.